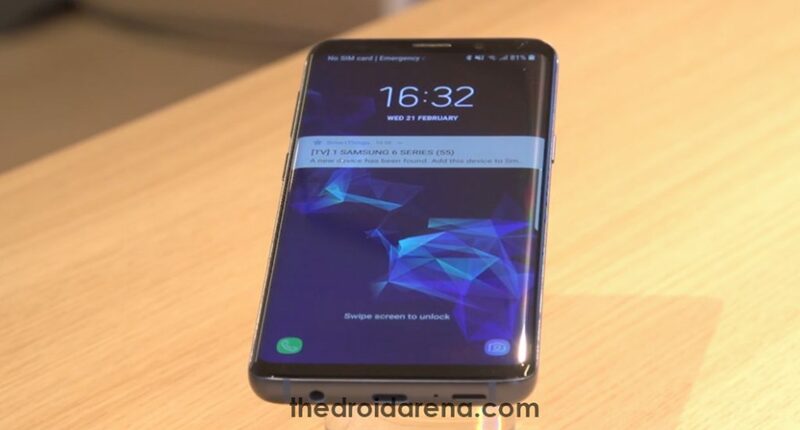 Enable Native Hotspot on Samsung Galaxy S9/S9+: So, you have brought a brand new Samsung Galaxy S9. Congratulations! But did you buy it from a network carrier? If yes, then chances are that your device must have been blocked from using it’s inbuilt network-sharing features. This isn’t so rare as it happens with almost all who purchase their smartphone from a network carrier. Sometimes, mobile carriers even lock the devices to their very own networks. Consequently, you are locked out from accessing APN settings as well. 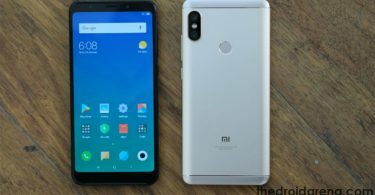 In this case, if you want to share your mobile network with other devices that you might have then you need to pay a significant amount for it. 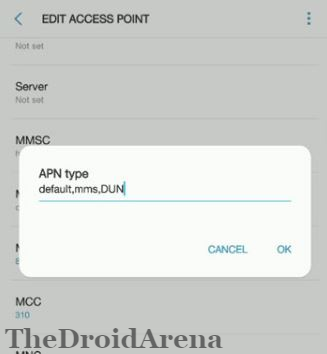 However, we will provide you a way, in this post, through which you can edit APN settings and enable native hotspot. 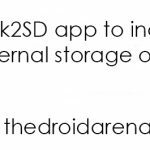 Good news is that you don’t require flashing any custom ROM or root your device for that. What are we waiting for then? Let’s go ahead! First and foremost, you need to download and install an app named as Shortcut Master Lite from Google Play Store. Post successful installation, please launch the application and tap on Menu from it. 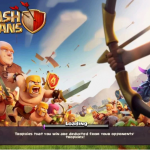 The Menu will be presented as three vertical dots at the upper right corner of the application. From the menu select the option of ‘App Explorer’ and thereafter select ‘All Apps.’ Please be patient now as it may take a considerable amount of time to load up all the applications. Post loading up of all the applications scroll down and navigate to com.test.LTEfunctionality and select it. If you don’t want to scroll you can simply search for this option in the Menu button. 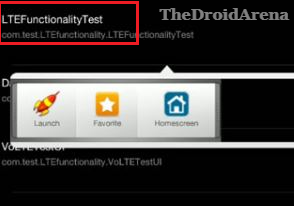 Inside this option, there will be a sub-option named as LTE Functionality Test. Navigate to it and select the option of ‘Launch’ from the sub-menu that comes up. Great! 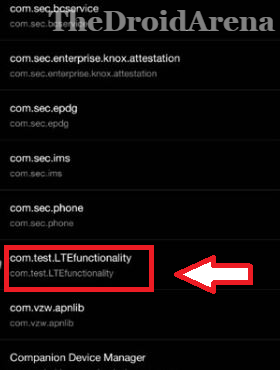 Now scroll down and select the option named as LTE APN Setting. 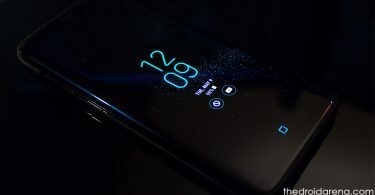 Must Read: [How To] Fix Samsung Galaxy S9 Black Screen of Death Issue. 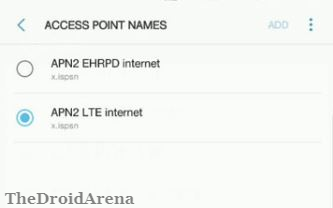 For enabling native hotspot you are required to select your carrier’s APN settings from the option LTE Apn Setting as mentioned in the above steps. Please refer the below provided screenshot and add DUN to the existing parameters so that it will become default, mms, DUN. Don’t forget to save the settings by selecting the ‘Save’ option from the Menu button. That’s it! We are done! Exit the application now. Folks! If you have any confusion or any questions to ask please drop them down in comments section below and we will help you out. 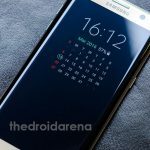 Install Lineage OS 15.1 ROM on Samsung Galaxy S9 Exynos.